Orville Gibson philosophy: Take high high qualified men in service that as well can, working by hand, have expertise, feeling for the instrument as having a good musical ear. Already more than 100 year its quality and innovation the foundations of the success for one of the greatest guitar builders in the world. Orville H. Gibson was born in 1856 in Chateaugay, New York. He was the youngest out a litter of five (brothers Orzo and Lovell, and sisters Pluma and Emma) of father John W. and mother Amy Nichols Gibson. Orville's father was an immigrant from England and his mother Amy came from New York. He moved out in 1881 to Kalamazoo, Michigan to take there a job as a clerk in a small shoes store. In his own time he played guitar. The love and passion for music brought him to think over about the design of guitars and mandolines. Beginning years eighty of the 19e century he wanted to begin for himself and rented a small workplace of three by four meters. He built his mandolines and guitars from broken chairs and tables furnish of qualities wood so he got good fir-, walnut and cedarwood. 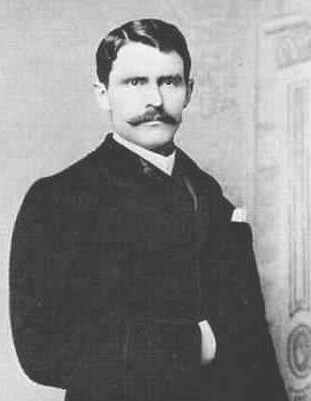 When Orville Gibson in Kalamazoo in 1894, was at work in his small music store, he could not yet comprehend which an influence his instruments would get in the course of history of music. Orville Gibson created a complete new style of guitars and mandolines and laid with this the basis for the production of one of the noblest musical instruments which the world until then had seen. He discovered that not treated solid and timber wood do the best results. Inspired by the violin architecture he constructed his guitars and mandolines not as usually with a flat, but with a vaulted body. Orville 'tuned' the top and back till a complementary resonance entirely, doing this giving soft hits with a chisel. This time-consuming construction demanded more than a month per instrument. But his designs became directly after their introduction in 1894 a resounding succes. Because the demand already had a great proportion which Orville no longer could to satisfy, became he forced to ground an own firm that produce these instruments. 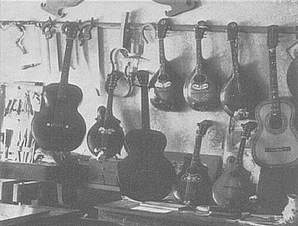 On 12 October 1902 the Gibson Mandolin-Guitar Co Ltd. was a fact. In the next 15 year wich would followed, experienced the mandoline-orchestras their flowering time, and Gibson became the number 1 by the instruments-manufacturers. 1. Take high high qualified men in service that as well can, working by hand, have expertise, feeling for the instrument as having a good musical ear. 2. Use machines there where the employment always self repeated or for which extreme precision is requires. The mandoline virtuoso, composer and acoustic engineer Lloyd Loar, was born on 9 January 1886, Illinois and was be well up in classic music. He was a pioneer in the development of the electric guitar. In 1923, he get patent for the elecronic pickup and in 1934, together with Lewis A. Williams, he grounded the Acoustic-Lectric Co. in Kalamazoo. They produced there acoustic guitars, mandolines, mandolas (10 string violins), mando cellos (also 10 string) and also magnetic pickups for guitars. Also they produced an electric violin. 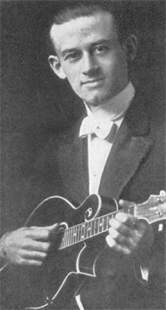 A year after the death of Orville Gibson, in 1918 came Lloyd Loar to Gibson Mandolin-Guitar Co.Ltd in service. 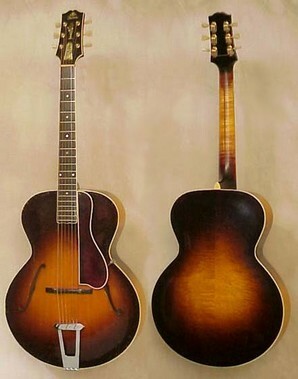 LLoar brought single improvements at Orvilles original designs what resulted in the production of respective F-5 and L-5, mandoline- and guitars series. This were the first wounds string instruments with 'F' - holes. The F-5 mandoline became already fast a legend and the L-5 guitar model valued the position of the guitarists in jazz-orchestras. Already fast replaced the guitar the tenor banjo, as accompanying rhythm-instrument, and became the basis for the conquest of the music world by the guitar. The L-7, L-10 L-12 and the L-150 were released around 1922. In the years twenty make Gibson single innovations as e.g. an in height adjustable bridge, and by Thaddeus (Ted) McHugh developed adjustable neck, that in 1921 came patented. Simple and immediately to handle offered the adjustable neck the possibility oppose the stretching of the strings, and so to realize a perfect string length. Often were the Gibson innovations of the general development years, sometimes even tens years ahead. An example of this is Loars prototype of an electric double-bass in 1924 that then already many characteristics of the present generation bass guitars owned. But Loars radical ideas come upon incomprehension of the Gibson management. Lloyd Loar left therefore the company in that same year, together with two other employees, and they grounded the 'Vivi-Tone Company' that various electric instruments introduced, also including Loars ingenious electric duoble-bass. However, these attempts got not the attention that they earned because they were their time far forward. As a consequence of this is tha the company must suspend their activities. The economic depression end of years twenty, was also not passed at the Gibson Company. 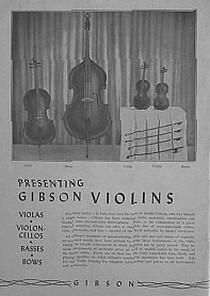 Gibson even produced temporary toys to wanted to survive. Very ironically, Gibson produced in this time also instruments that original Orville Gibson had inspired. His mandolines and guitars became according to a new draft made. The development of new guitar model was not neglected even in these heavy times. Beginning years thirty the new, larger L-5 was introduced. Also an entire new model was released for not little sum of $400.00. This jazz-guitar with his extreme large body, could even be heard with the trumpets of a large orchestra. Many see this exemplarily still as the coronation of the guitar building-art. Around 1932, Gibson made the Super 400 and an adapted version of the L-series, since guitars with F-holes in all sorts of measures and kinds particularly popularly became. In 1934, the time was mature for the first electric guitar, de ES-150. This guitar combined the well tested Gibson models with magnetic spools, that the possibilities bids to play them with amplifiers. The success of this first electric guitar is connected inseparable with one name: Charlie Christian. The pickups on this guitar were named to him. This young musician raised the electric guitar with his unmistakable riddles in Benny Goodmans band, in which he played from 1939 until 1941, until solo-instrument. He played like a trumpeter and his single-string soli soak strongly from the existing approach by which they played the melody with chords. In less then five year caused Christian a revolution in play technique and together with men as Dizzy Gillespie, Lester Young and Charlie Parker he developed the bebop. This complete new position of the guitar conquered in short time the world and put until present the tone in all aspects of the popular music. 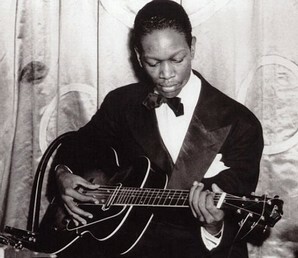 Charlie Christian died on the age of twentythree. Gibson also built acoustic basses. They began with it in 1937. The violin-formed EB-1 (Electric Basses 1) released in 1953 and again in 1969 introduced. After that followed the double-cutaway EB-2 bass guitar in 1958, EB-O in 1959, the six-string EB-6 in 1959, EB-OF with built in fuzz in 1962, the Thunderbird in 1963 and again designed in 1965, EB-3, Les Paul Bass in 1970, Les Paul Triumph in 1971, Les Paul Signature in 1973, L9-S in 1973, Grabber and Ripper in 1974, and the RD-artist and RD-standard 9 in 1978. Amplifiers for Gibson were made in the years thirty by Lyon & Healy, while in the years forty under others the BR-series, named to the designer Barnes Reinecke. The Les Paul amplifier and the GA-series became produced in the years fifty and in the beginning of sixty. Piggybacks, with separate amplifier and separate speaker box, and case amplifiers like, Titan, Mercury, and Atlas, appeared in 1963, while shortly after that the GSS solid-states models were released. During the Second world War Gibson strikes temporarily the instruments production, because of material shortage. In 1944, Gibson was taken over by the company 'Chicago Musical Instruments'(CMI). 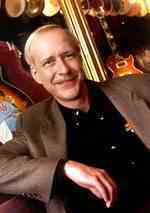 In 1946 start CMI the production again, and with the appointing of Ted McCarty in 1948 a new era began for Gibson. In the period that McCarty took over the leadership of Gibson, 1950 until 1966, became for the company an economic flowering time. The innovation of the electric guitars of the models as, Lesson Paul, ES-335, Byrdland, Explore, SG, Flying-V and Firebird, that the team of McCarty released, were the guarantee for this success. Also the development of the Humbucker pickups and many other new developments arose in this time. Already in 1946, Les Paul had presented the firm Gibson his design of an electric guitar with solid-body. But the sales of the traditional Gibson models did so well that Les Paul with his design had no chance those days. But after a few year, McCarty got the old ideas out of the cabinet and took contact with Les Paul. In 1952, came the first model of these now so famous guitar. For the first time two wood kinds were combined, maple for the top and mahagony for the back, to get the brilliant sound characterization of the maple and the warm full sound of the mahagony. In 1956, the traditional comb wanted to replace by the 'Tune-O-Matic'-bridge, and in 1957, Humbucker pickups were put on it. In 1958 followed the introduction of the Cherry Sunburst Satisfy Paul, and became one of the most beautiful electric built guitars all time. In 1957, Epiphone was taken over by CMI and in 1959, they began the production of Epiphone instruments. The ES-335T (later ES-335TD) was for the first time produced in 1958, and this semi-acoustic guitar was many times copied by other firms. Today now there be more than thousand sold per year. There also other semi-acoustic guitars, like the ES-355. The flat-top LG-O that completely is made of mahagony wood, was made in large numbers. The annual volume of trade of this model exceeded regular the total year volume of trade of Gibson in the first 25 year of the previous century. In this successful period became the factory gladly eight turn expanded. The demand of Gibson-instruments was so big, that they had years of orders. In the years sixty there was an enormous growth in the music business, as well in general sense as for Gibson especially. The explosive spread of the Rock 'n' Roll, Jazz and Folk bids till so far unprecedented possibilities for guitars. All big instruments manufacturers, with Gibson in front, begun experiment with new materials. Design and production changed in short distances to follow the current scenes. 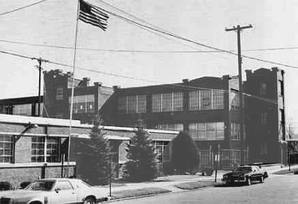 In 1969, CMI was taken over by 'Norlin Industries', and in 1975 in Nashville, Tennessee a new Gibson-factory hall was taken in. The recession of the early eightys passed even not Gibson. Searching for new roads discovered the Gibson team a strengthened interest for Vintage instruments. Therefore released Gibson classicals as a Les Paul and the ES-335 with their original specifications again. At the same time came the 'Chet Atkins' guitar, a complete new exemplarily. 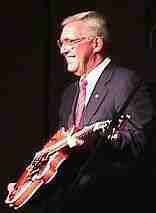 Since beginning of 1986 Gibson was sold tot Henry Juszkiewicz and David Berryman who lead the company till today. With the knowledge of the long Gibson tradition in instruments building and the principles, each Gibson instrument to produce with the highest qualitie level, started the new Gibson team, in the mind of Orville Gibson and Ted McCarty logical to go on. In 1994 Gibson celebrates their hundred birthday of existence, and as well then as it if now, offer Gibson instruments an not to beat combination of quality and sound for each musical genre. Today they work at the first digital guitars with ethernet connection. The interface is until 30,000 times faster than the older midi-standard. Gibson workst already for a while at the MaGIC-draft: a protocol for transport over ethernet cables wich is much faster then we accustomed now. With an usual Cat5-cable, Gibson can 32 channels audio on 192 kHz in realtime away in and out. 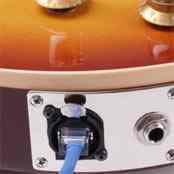 On the guitar is an adapter put in that the vibration of the strings compiles and translates in a digital signal. The sending of the data packages of guitar to amplifier “30 until 30,000 times so fast” as a normal midi-interface. That is a very large margin, but the accuracy of for instance a pressed (increased) or trembling tone is much greater than by midi. Midi is a 10- bit signal with a bandwidth of only 31.25 Kbit per second. MaGIC-packages are 32 bit and even have over an ethernetkabel of 100 meters a delay of less then 250 nanoseconds. MaGIC can except of audio send also 100 midi signals at the same time. So it stick some disadvantages at the digital guitar. The adjustment of the pickup must be extremely accurate. Very stable the prototype - a digital sunburst Satisfy Paul – sounded thus not yet. 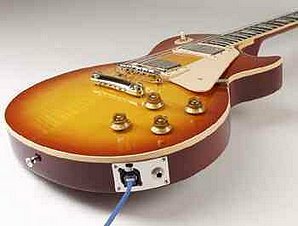 Gibson therefore will not remove the analogous output on the Les Pauls, SG's and ES-guitars yet.